This week I wanted to take the time to answer a recent email from a reader/listener, David. The question boils down to whether or not the Forever Affiliate program is still valid. 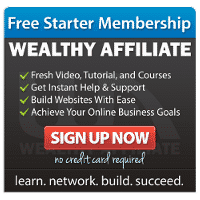 David has a few potential niche site ideas that he has done some keyword research on, but he was considering checking out the Forever Affiliate training course before attempting to move forward. However, he didn’t want to spend the money if big portions of the program are out of date or no longer relevant. I decided to respond in video form, for a change of pace. In the video, I answer David’s question and take you inside the Forever Affiliate program to give a full breakdown of what can be expected. Forever Affiliate continues to be valid and relevant! I’d almost wager to say it is even more relevant now, with posts like this one from Google SEO expert Matt Cutts, declaring that guest blog posting for SEO purposes is dead. The core FA course is a very white hat, low risk methodology for gaining organic traffic and rankings, which is super important as Google continues to penalize sites that have used more gray/black hat methods to game the system. For anyone that is interested in purchasing Forever Affiliate, if you do purchase the full program through my affiliate link, you’ll get 2 additional bonuses to sweeten the deal! I will provide you with my own personal notes as well as a Forever Affiliate bonus tips guide. The notes are a 17 page electronic document that you can utilize as you watch the training videos in the program and can customize to match your own style. In addition, I put together the Forever Affiliate Bonus Tips Guide to highlight some of my own personal suggestions that I believe will increase your chances for success. They are tips that I implemented in my own Forever Affiliate niche site that helped to achieve and increase sales. I’m happy to report that as of right now, I have 8 sales and counting on that site, totaling $317.84. As of right now, I have 11 pieces of content on that site. I continue to add backlinks to that site by commenting on related blog posts at the rate of about 5 per week on average and have plans to add additional content at the rate of about 1 new article per month, targeting additional long tail phrases to bring in additional traffic. I am also working on keyword research for additional FA style sites right now and am considering creating a new site around the same product. I hope this post/video helped to answer David’s question and also helped to alleviate concerns from anyone considering the Forever Affiliate program. It remains an awesome program and at only $97 it is an amazing value for anyone wanting an all inclusive, step-by-step guide on how to get started making $$ with affiliate sites. If you have any questions at all about the program or affiliate sites in general, as always, feel free to drop a comment below or send me an email directly. If you do purchase the program through my Forever Affiliate link, I sincerely thank you ahead of time! To get the free bonuses, just forward me your email receipt to chris “@” nichesitetools.com and I’ll send them to you right away. For any folks that purchased through my link previously, thank you as well! Unfortunately, I have no way to know who you are, so please forward your previous email receipt as well and I’ll send them right out! Thanks Chris! I really appreciate the response post and video. That helps a lot. Excellent, glad to assist. Let me know if you have any other specific questions and best of luck with your niche sites! I am going to sign up thru you but 2 questions before I do. Please shoot me an email ASAP as I am going to get in soon. 1) this is August 2014, is the price still $ 97? Can we pay monthly or quarterly? 2) i have set up sites. is it a problem using sub-domains for the sites or do you think I need to sign up for a new hosting? Thanks. Nice video and good pace. I like the tone. I cannot stand hyped up tones. 1) Yes, the price is still $97. I do not believe you can pay monthly or quarterly, just the one time fee. 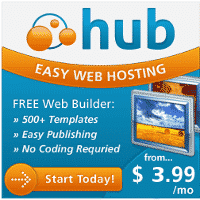 2) Each site would need it’s own unique domain name. If your web host allows multiple websites under the same account (as most do) you would just need to purchase different domain names for each, you wouldn’t necessarily need a new hosting account. I can only comment on the Forever Affiliate program, as I do not have experience with the programs you mentioned. Forever Affiliate is a great one, especially for folks just starting out. One important point, while there are a lot of different training programs out there, it is important not to get distracted by shiny object syndrome. Pick one that seems to meet your needs and block out all others while you go through it. Otherwise you can bounce from idea to idea and never really make the progress you are expecting. Great, thanks for going through my link Stu, the two bonus docs are on the way. Best of luck with the program! Certainly. I had some questions initially as well and I reached out to Andrew and his support team and they were very helpful also. Glad to help. I wanted to say thanks for everything you do on the Podcast and also let you know I just picked up Forever Affiliate through your link. So far so good! Appreciate the feedback on the Podcast and thanks for picking up FA through my affiliate link. Glad to see you joined up on the Private FB Mastermind group as well. Welcome to the community!